President Kathy Rainbolt providing renovation updates to Pentecom colleagues. What was once the old Alamo School, will soon become the new headquarter location for Pentecom, LLC. Construction is well under way, and just in time to celebrate 2017 as the 20th Anniversary of Pentecom. 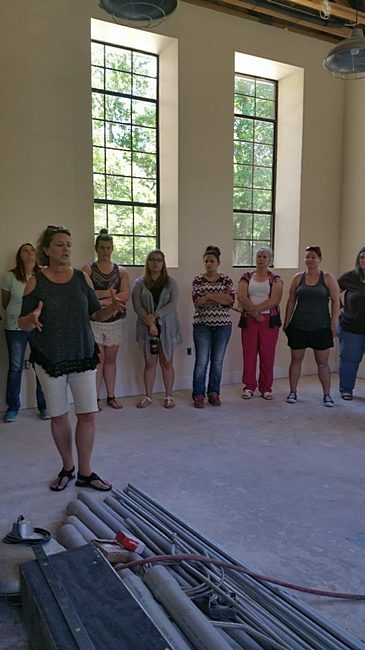 In keeping with the heritage of the building, President Kathy Rainbolt and Executive Vice-President Kim Willmott hope to incorporate updated technology with accents of the original school throughout the building. Additionally, chalkboards from the school house were salvaged and will give the walls added character. 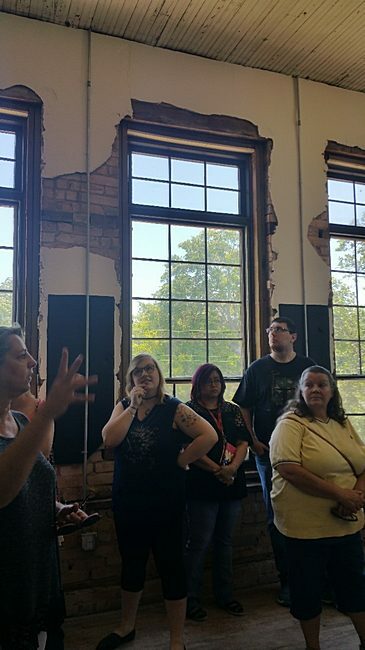 Crystal Barrett, Pentecom Team Lead, explained “I used to go to the library all the time when I was in grade school to borrow books or cassettes, VHS’s, etc.” Undoubtedly, Pentecom staff is excited to be able to work in a nostalgic setting! 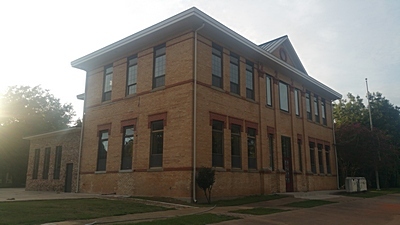 Pentecom’s roots in Palestine, Texas are an important part of its history. As the company continues to grow, its scope of providing technical data solutions extends throughout the nation. Even with such substantial development, Pentecom’s legacy will be encapsulated through the new office location. Pentecom anticipates the renovation will be completed this September. Be sure to check back for further updates! Side view of our new building. Preserving the history of the old Alamo School, it was decided to leave old brick exposed through some of the new sheet rock.